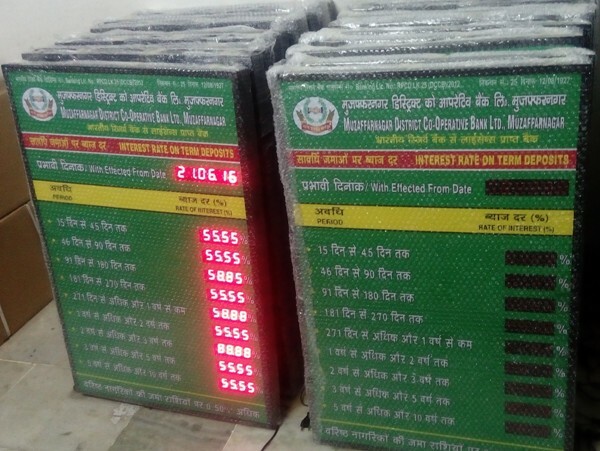 We are one of the prominent names engaged in manufacturing Bank Interest Rate LED Display Boards. Extensively used in money exchange counters and banks, these boards are user- friendly and RTC based. The boards are offered with a remote 4 keys pad, thus these are easy to access. Backed by a team of experts, we are capable of manufacturing the product as per the specifications detailed by our clients.